Kids do a lot of learning during their formative years, which is why parents should urge their children and encourage them to pick up healthy habits as they grow up and learn to take care of themselves on their own. 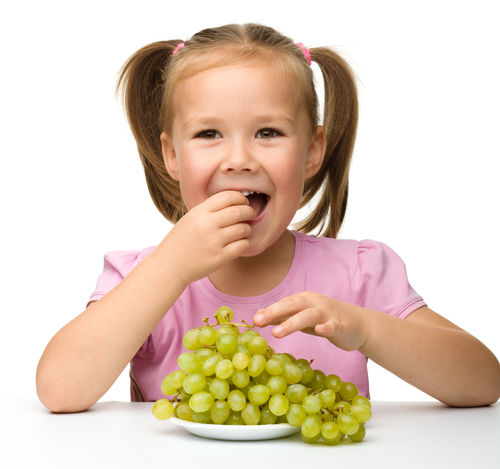 Things like brushing teeth, drinking water, staying active, and reading are all great things that can help to improve a child’s life as they grow into independent individuals, but it is also important that children eat healthy, too. Having healthy eating habits is not just important in the sense that children should be able to make healthy decisions when they’re older when it comes to food, but eating a balanced diet is essential to a child’s growth and development overall as well. Unfortunately, many parents fail to eat healthy themselves, whether it be due to busy schedules or otherwise, but there are some things that you can do in order to improve the overall eating habits of your entire family, including those of your children. 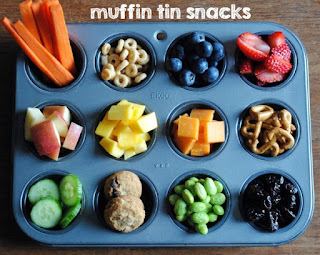 Snacking is an important aspect of a person’s diet, especially since people tend to forget to count snacks among the other foods they eat because snacks do not necessarily constitute one of the three main meals of the day. But many people end up gaining a considerable amount of weight because of this oversight, and in general people may not fully pay attention to the sorts of snacks that they feed themselves – or their children, for that matter. So what kind of snacks should you consider stocking up on? It helps to consider getting in all of the major food groups but also accounting for taste as well as the snack’s ability to keep you and your family full and satisfied overall. 1. Whole grain cereal. With a splash of milk, and fruit and nuts if you want to get creative, a bowl of whole grain cereal can make a great breakfast, snack, or even a dessert. This treat is packed with vitamins, calcium, and fiber, too. 2. Cheese. Sounds simple right? Try pairing this protein-rich snack with something like grapes or even salt-free pretzels to add some variety and keep kids full until dinner time. 3. Smoothies. Smoothies are a great, and fun, way to help get more vitamin-rich fruits into your kids’ diet. Add yogurt, protein, or even slip in some veggies – they won’t notice the difference. Smoothies can be especially fun if you add a silly straw or even a little umbrella. A smoothie is a definite treat, and a much better alternative to ice creams or milkshakes. 4. Yogurt. This dairy treat can come in all shapes and sizes. Plus, you can add fruit or even pop them in the freezer to make it a frozen summer treat! 5. Sweet potatoes. Sweet potatoes can be more than just baked as it is at Thanksgiving – try making sweet potato chips or fries. They’re healthier than other bagged chips or even greasy french fries, plus they taste just as great dipped in ketchup! 6. Peanut butter. This childhood favorite makes a great snack, especially if you pair it with something like apple slices, or even get a little creative with celery and raisins as well. There are plenty of other things that you can add to your pantry that is easy to grab and better for your health. Pay attention to ingredients, look out for preservatives, and make sure that you and your family aren’t mindlessly snacking, either. Fruits and veggies are always great options – cutting them up into easy-to-eat shapes, or fun shapes if you have the time, and placing them into little baggies ahead of time make them more appealing to children. Try pairing them together, too, or adding nuts and protein into the mix. Don’t be afraid to have some fun with dipping options like yogurt, peanut butter, or even protein spreads. You can even consider getting things like dried fruits, veggie chips and trail mix for when you’re on the go and in a pinch. For more parenting resources be sure to subscribe to the KD Novelties Blog.